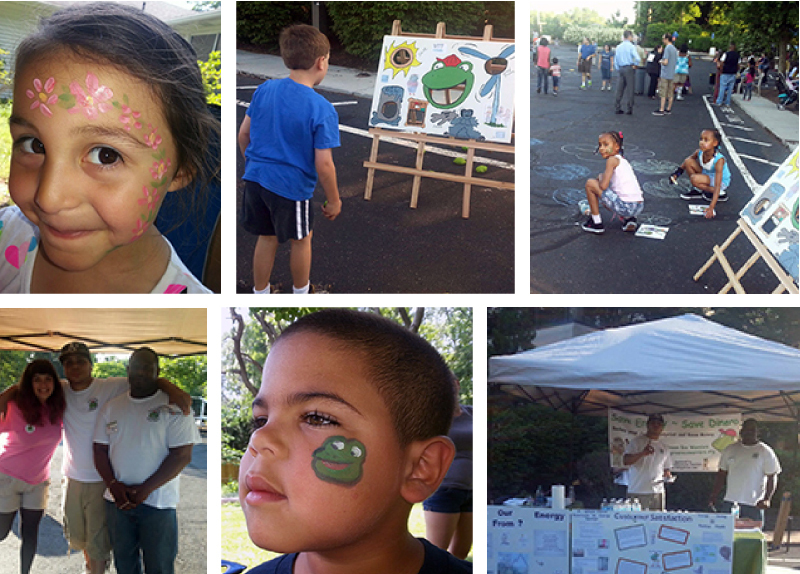 Green Eco Warrior Community Outreach Program (Dinero Street Team) provides onsite sustainability education for youth and families at community based events and schools. 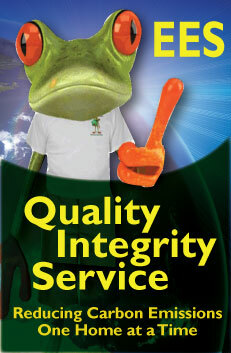 Invite the Green Eco Warriors to present at your school- Call 860-993-0714 to reserve your presentation today! CT STEM students attend the Save Energy Save Dinero® Youth Summit! 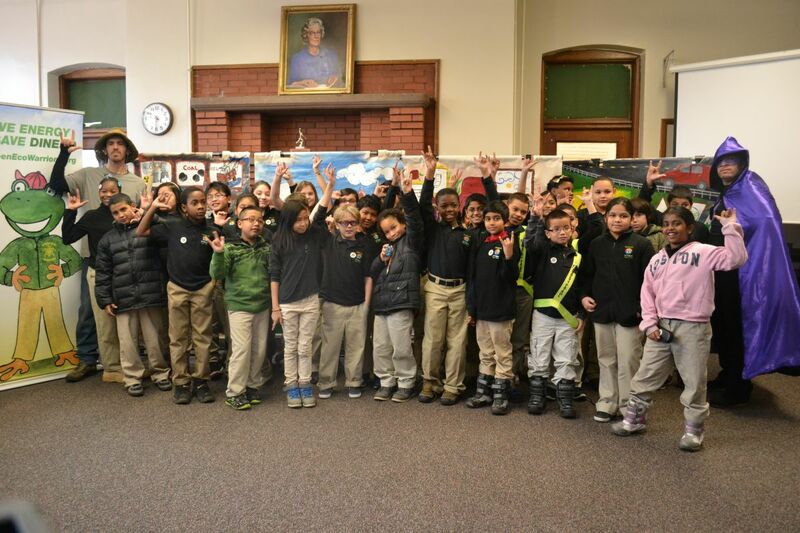 June 3, 2014 Two hundred fourth and fifth grade students from Betances STEM magnet school in Hartford, CT participated in the Save Energy Save Dinero Youth Summit. Students and teachers enjoyed this unique opportunity to play educational games, complete ropes course challenges, and watch student performed plays. Every student left with a T-shirt, comic book, and a smile! Save Energy Save Dinero® Youth Challenge! Jan. 7, 2014 Green Eco Warriors Inc., a nonprofit company which provides sustainability education performed the Save Energy Save Dinero Challenge for one hundred fourth grade students at STEM Betances in Hartford. 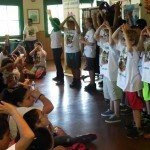 The students engaged in learning through humor, entertainment , and vibrant visual displays, encouraging the youth to use their individual powers to save the planet by taking action in their everyday lives. The presentation encouraged youth to educate themselves and others about energy conservation. 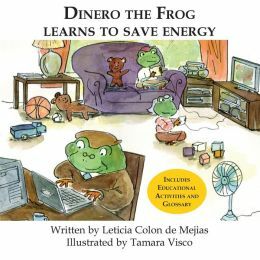 June 20, 2013 – The Dinero street team generated 15 leads for the HES residential program, distributed over 80 books to children, painted 60 faces, and provided education on topics such as where energy comes from, as well as how people can conserve energy through behavioral changes. 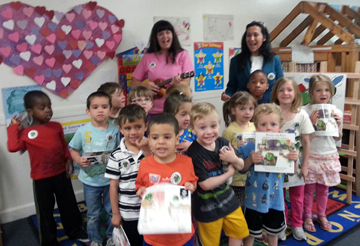 May 16, 2013 – Green Eco Warriors provided over 50 “Dinero Learns to Save Energy” books and free energy conservation education at First Church in Windsor CT. The children ages 4 to 5 years old were pleasantly surprised. The kids had a blast playing the “Save Energy Save Dinero” bean bag game, singing nature conservation based songs, and reading their new books. Kids also won save energy pins and stickers by telling us how they can save energy at home. Every child received a save energy pledge, and their school can earn $50.00 for each family that completes the pledge and has an energy audit performed at their home. 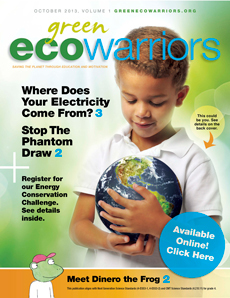 Learn more or invite Green Eco Warriors to your school! 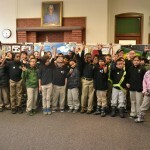 April 29, 2013 – Over 100 books were provided free to students at Betances STEM magnet school in Hartford CT. Fourth grade students attended a live educational seminar about energy. 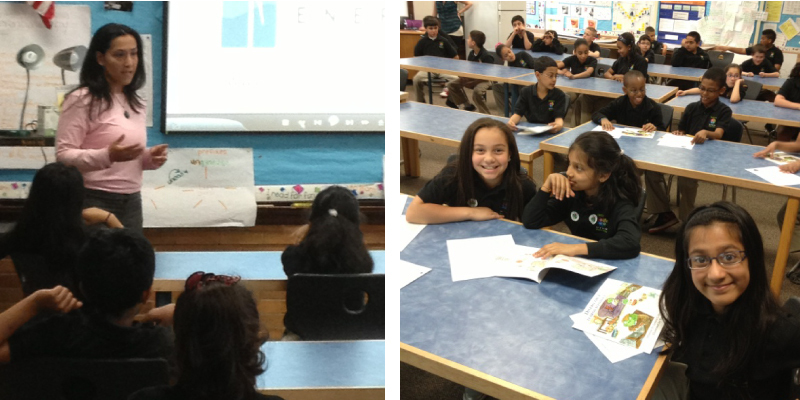 Students participated in active discussions and lessons about energy conservation. These amazing students learned and brainstormed about ways to save energy at home and at school. They took the Save Energy, Save Dinero pledge to make a difference and started conserving energy. June, 2008 – Jonathon and Nya set up an educational booth at the Shad Derby. They educated fellow students and the Windsor community on energy efficient light bulbs, and the harmful impact of plastic in the environment. They highlighted how people can make a difference through behavioral changes. Jonathon won the International Problem Solvers Competition in 2008 for starting a recycling program at Sage Park Middle School in Windsor. He was also recognized for helping to pass the plastic bottle bill and for his work with educating the community.